loved the style and width. I have 8 feet ×6 feet picture frame.Renaissance Canvas frames come in that sizw? Thank you for your inquiry. We would love to speak with you over the phone about creating a custom floater frame at such a large size. Please contact our friendly framing experts at 1-877-367-2689 Monday through Friday and they will be happy to help you with this order. BEST ANSWER: Hello! 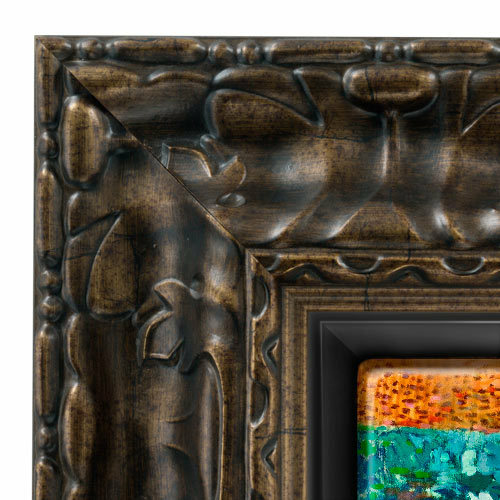 The width of this beautiful frame is 5 3/4". Please let us know if you need assistance with placing this order. Happy Framing! Ordered samples but promotion will expired before receiving them. Can you extend offer? BEST ANSWER: We typically have promotional offers extended via our emailing promo list. Please sign up for our promotional list to receive savings offers. The option to sign up is available toward the bottom of the web page on the left hand side. Since the promotion will be ending before you can place an order, please give us a call so we can offer you a courtesy discount.